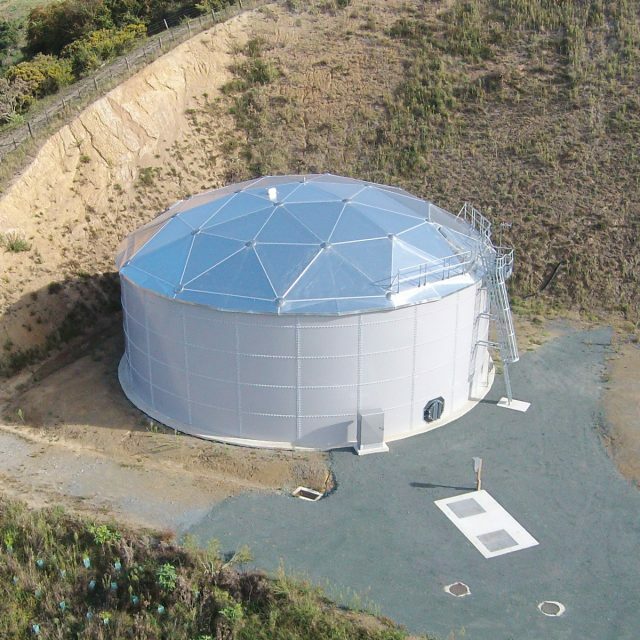 Geodesic covers, designed, manufactured and constructed from aluminium provide a low weight cover to any circular containment solution. The high strength to weight ratio, in many cases, negates the need for internal support structures, thus reducing costs. Modular by design means construction times are significantly reduced, and combined with its high durability, make it the ideal choice for effective protection from all extremes of weather. The domes design and its low centre of gravity means its weight is evenly distributed through the bottom ring. It can be fitted to both new and existing tanks usually without additional reinforcement being required. Due to its bespoke sealing system to the top of the tank, makes it suitable for use where odours require containment.